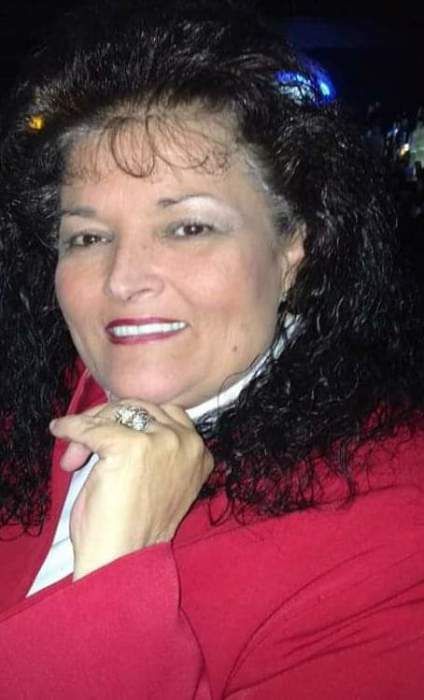 Ms. Valerie Kendall, 62, of Vincennes passed away on Wednesday, February 13, 2019. Valerie was born August 1, 1956 in Vincennes to the late Laura Mae and Noble Vaughn Barmes. Valerie was employed at Eye Works as a technician and also worked as a legal assistant for Chris Ramsey. She enjoyed crafting, making floral arrangements, dancing, karaoke, and most of all spending time with her grandchildren. Valerie is survived by; children, Allen and Tessa Wilson, Eric Wilson, and Jacoby Wilson all of Vincennes; fifteen grandchildren; and her best friend, Texanna Mahurin. She was preceded in death by her parents, her son Ryan James Wilson, and brother Jamie Barnes. Visitation will be on Monday, February 18, 2019 from 4:00 P.M. until 7:00 P.M. at Fredrick and Son McClure-Utt, Vincennes Chapel with a service following on Tuesday at noon also at the funeral home. Burial will be in Memorial Park Cemetery. Please make memorial contributions to the family to assist with burial costs. You may leave an online condolence at www.fredrickandson.com.